Looking to hire a marquee for an event? 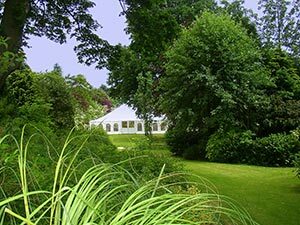 Marquees offer a flexible alternative to more traditional and fixed venues, and can be the perfect place to host your wedding, anniversary or birthday party. Below are five more reasons why they’re a great option. Marquees can be used for a whole range of events, from weddings and parties to corporate affairs. If you’d like to know more, get in touch with the marquee Cambridge experts at Weatherill Brothers. Wedding venues are notoriously expensive, with prices often being hiked up just because of the wedding tag. A marquee offers you a more cost-effective alternative. Marquees are water and weather-proof. They’re as at home in wind & rain as they are in sunshine. And when the sun does come out, drop the sides and let the good weather in. Marquees can be designed to accommodate as many or as few guests as you need. Just let us know how many you’re expecting, and we will put together the perfect marquee for your event.